Are There Any Cultural Points That Someone Considering Doing Business in Your Jurisdiction Should Be Aware Of? China and Taiwan share a common cultural heritage. They have a Confucian style of societal structure within which everyone has a place and clear obligations to different people in the hierarchy. Relationships are important to accelerate or facilitate transactions and for career advancement, and it is very important to understand how these relationships work in order to manage potential risks. For example, we have seen IP leakage cases in large organisations because an employee felt an obligation to help a former classmate who was asking about their technology. Foreign investors should also invest time in advance to understand traditional Chinese negotiation tactics and prepare accordingly. For example, a Chinese counterpart will often exploit the western partner’s sense of urgency. They may structure an entire visit around this since they know the western negotiator is expected to return with a deal. It is common for the Chinese counterpart to spend most of the time negotiating unimportant issues or reopening settled discussions, only to make their ‘real’ demands at the last minute, which often results in the western party agreeing to disadvantageous terms to avoid going home empty-handed. Finally, we often caution western decision makers against taking leave of their common sense in China. People are often coached to be culturally sensitive and flexible when doing business in China because things work differently there. This is generally good advice, but taken to the extreme, it can result in companies and executives doing things in China that they would never do in other places, such as structuring transactions in a way that surrenders control to the local partner or blurring ethical lines in day-to-day operations, because a local partner or employee says that is how it is done in China. How Easy Is It to Do Business in Your Jurisdiction, and Are Issues with Transparency or Corruption Easily Resolvable? China is an emerging economy and headlines about corruption are no secret to anyone. This is an issue at most levels, but our general impression is that the situation has improved somewhat in recent years, and is likely to improve further as the economy evolves. In the meantime, we cannot overstate the importance of conducting proper due diligence and background checks in China. This applies to M&A targets and potential joint venture partners, but also to investors, service providers, key employees, and any third party that interacts with your organisation. We have received numerous queries over the years from foreign investors ready to invest tens or hundreds of millions of dollars with Chinese partners they barely know. Investors must ask themselves questions such as; do we really know these partners? What is the source of their wealth? Are they politically exposed? Where did they go to school? Do they have a criminal record? How about their immediate family or known business associates? Have we checked the local media for negative news? Do they have a positive reputation among past and current partners, suppliers or competitors? With a combination of desktop searches of media sources and public databases and physical intelligence gathering, all these questions can be answered, and an informed partner selection decision can be made. Finally, once a partner is selected, investors must remain engaged in the management and monitoring of the China operations. We have seen many cases where the selection of the wrong partner or a lack of management involvement in China results in disastrous financial loses and irreversible reputational damage to a foreign business, and sometimes, it can even jeopardise the viability of the entire business. What Is Special About Your Jurisdiction? 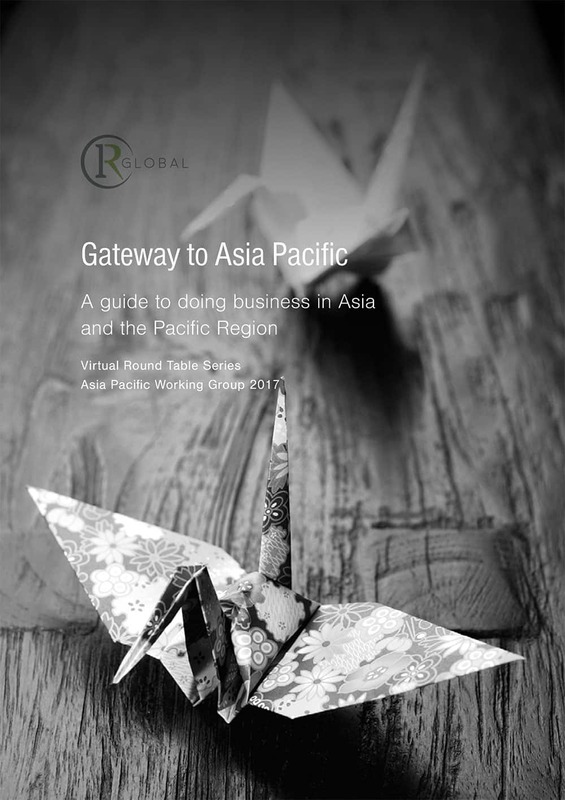 Why Should an Investor or Entrepreneur Choose Your Country as a Gateway to Asia? China is likely to be a key market for most foreign companies with global ambitions. Traditionally foreign products and services have been popular in China as symbols of status and quality, however as the country continues its transition to a consumption economy, we expect that there will be a shift towards heavy localisation of foreign products and China-specific innovation. This is already evident in the way large foreign tech giants have had trouble getting a foothold in China, in some cases because of government regulations, but in many other cases because local Chinese competitors have a better understanding of the market and are able to react quickly to cater to the ever-changing and evolving tastes of the Chinese consumer. Another example is a significantly reduced appetite for foreign concepts by Taiwanese and Chinese venture capital firms focused in the food and beverage industry, which are now placing their bets on Chinese concepts that can be easily scaled to hundreds of outlets nationwide within 18 months, instead of western food concepts. We can certainly imagine a future where products and services will have to be designed for China from the ground up, and Chinese home-grown innovation starts influencing the way products and services are produced in other markets, therefore an R&D centre in China for certain industries might be indispensable in the future. Taiwan is a great test market for products and services aimed at mainland China since the local population shares a similar cultural background but is also attuned to Japanese and western tastes. We have seen many foreign companies that choose to launch their products or services in Taiwan first and make all necessary adjustments in this market before a larger investment is made to tackle China. This is a particularly useful strategy for start-ups, since they can raise a smaller round of funding to develop and/ or launch a product in Taiwan, and use success in Taiwan as proof-of-concept to raise a larger round to enter China. What Help Exists for Overseas Investors in Terms of Expert Partners, Trade Networks or Government Incentives? Would You Recommend a Local Business Partner? Government agencies and officials are generally very accessible in Taiwan and it is relatively easy to start a conversation about a specific project with the right people at the right level. There are also multiple government agencies focused on promoting exports and attracting foreign investment. The American Chamber of Commerce is very strong, as is its European counterpart, and in some cases they are able to assist with government relations. They are excellent resources. Industry associations in both Taiwan and China are an excellent resource for investors looking to take a systematic approach to identifying a supplier or a distributor. The leadership at these associations is usually fairly accessible and can provide valuable insight to help investors select the right partner. We would recommend working with a local partner, because they have an understanding of the local market that foreign investors do not have. Due diligence is particularly important for companies using Taiwan as a gateway market to China, since they would be selecting a partner for two markets instead of one. What Are the Major Regulatory Barriers to Entering Your Marketplace? In China’s case, like the Philippines, the story is one of improvement. The economy has opened up during the last few decades, and we would expect this trend to continue. Foreign investment is still forbidden or restricted in a number of sensitive industries, and it is unclear whether, or when, these restrictions will be relaxed. Certain M&A transactions are subject to anti-monopoly and national security review processes. Foreign exchange controls can pose a significant challenge since restrictions are sometimes tightened or relaxed with little or no notice in response to central government policy changes. One practical implication for foreign companies is that they must ensure their Chinese counterpart is actually able to pay in foreign currency before entering into a transaction. We have recently seen an uptake in queries from foreign companies having trouble collecting payment for legitimate and properly documented transactions because the Chinese party’s bank refuses to execute the wire transfer, citing central government policy changes. Options are very limited at that point, therefore we recommend either requesting payment in advance or proof that the Chinese party has sufficient convertible currency offshore to meet the payment obligation. Multinational companies should also adjust their global cash management strategy for the contingency that funds held by their China subsidiary might not be available for use overseas in the short term. Transactions should be structured accordingly.